On January 1st Ontario Power Generation (OPG) raised its price of nuclear power by 7% to 8.8 cents per kWh. As a result, the price of nuclear power has doubled since 2002. To add insult to injury, OPG has told the Ontario Energy Board that it needs to increase its price of nuclear power by a further 88% between now and 2025 to pay for the re-building of its Darlington Nuclear Station. 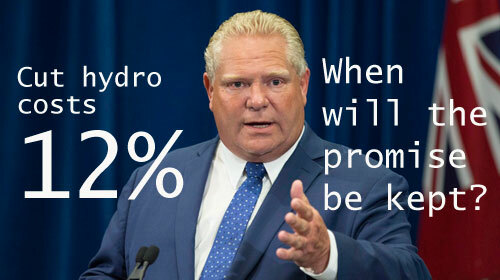 If this occurs, Premier Ford will not be able to keep his promise to lower our electricity costs by 12%. Fortunately, the solution to our rising electricity rates lies just east of the Ottawa River. Quebec is the 4th largest producer of water power in the world and it has a large and rising supply of low-cost water power available for export to Ontario at a fraction of the cost of nuclear power. TAKE ACTION! 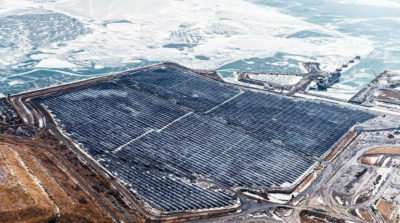 Author gaianicityPosted on January 17, 2019 January 17, 2019 Tags Doug Ford, nuclear power cost, Ontario Power Generation, OPG, Quebec hydro powerLeave a comment on Ontario: Energy Price Alert!